Friday, 25 Jan: Presentation titles and speaker names are due to ensure inclusion in World ATM Congress printed materials. Friday, 15 Feb: Abstracts are due for inclusion on our website. Friday, 1 March: PowerPoint presentations and supporting documents in pdf form are due for inclusion on our website. A note about the pdfs: As many PowerPoint presentations do not provide a lot in terms of background, we’re happy to accept pdfs of background and promotional material to give readers a better sense of your presentation and the products, services, and R&D that you produce (for example, one-sheeters, white papers, program descriptions, etc.). Providing this material is not obligatory, but it offers you some extra promotion above and beyond what your presentation slides can provide. You can also publish a lot of this material in your online profiles in Exhibitor Zone. 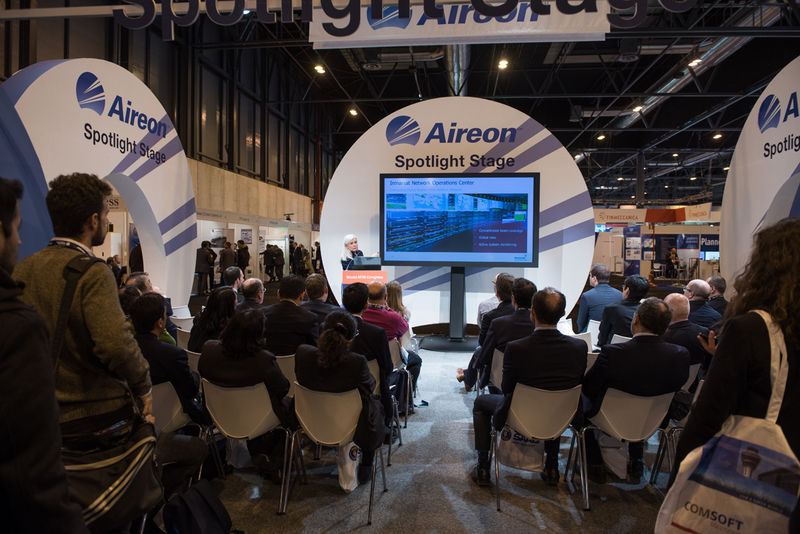 In order to present in one of the theatres, your organisation must either be a sponsor or an exhibitor at World ATM Congress 2019. Theatre sponsors receive a two-hour presentation time slot on Tuesday, 12 March 2019 in their respective theatre. Platinum sponsors receive a 40-minute presentation time slot on Wednesday, 13 March 2019 in the theatre of their choice (subject to availability). 1 November 2018. After 1 November, Platinum sponsors will be charged €500 plus VAT for every 20-minute presentation time slot. Early registration rate for Sponsors and Exhibitors €500 plus VAT for every 20-minute presentation time slot. Please note: After 13 January 2019, the registration rate for Platinum Sponsors, Sponsors, and Exhibitors will be €700 plus VAT for every 20-minute presentation time slot. Interested in seeing the 2018 theatre programming? Visit our archive.